Up until now, I've created all Android apps in Eclipse with Java and XML code. While I will continue to do that, Google has released a very promising new web tool called App Inventor. This tool allows you to create simple Android apps in the browser all while requiring the developer to have exactly zero (0) knowledge of Java or XML. I've played around with the tool a bit and found that it is indeed easy and intuitive to create simple, 1-screen apps (as of now, it doesn't allow multiple screen apps so that really limits the complexity). For anything even remotely advanced, you'll still have to use the old methods (writing code). In order to test it out, I decided to build an app--after all, that's the best way to learn, right? I wanted something simple, yet at least a little interesting so I went with a barcode scanner. I know, the app already exists, but this would be fun to see what I could accomplish in about 30 minutes. The app scans a barcode or QRcode and either searches Google with the result or opens the URL in a browser (if the QRCode is a URL, obviously). 1. Click on My Projects, then create a new project. I called mine AndroidScanner. 4. Now connect your Android phone via usb. On your phone, go to Settings-->Applications-->Development. Enable USB debugging and Stay awake. 5. On the layout screen click the button to Open the Blocks Editor. 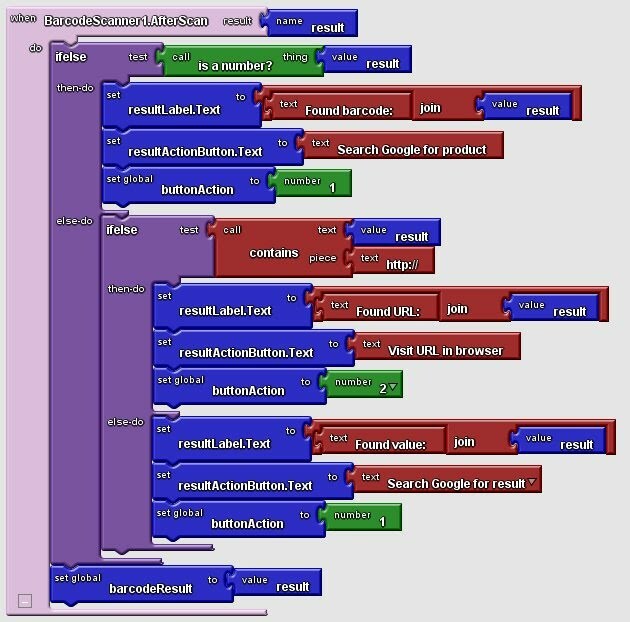 This will open a Java applet that contains all of the logic blocks/action handlers and interfaces with your phone. 6. For this app, we're first going to need 2 variables: buttonAction (value equals 2 if url is scanned, 1 otherwise) and barcodeResult (value is the resulting string from the barcode scan). To get variables in Blocks Editor, go to Built-In, then Definition and drag "def variable" onto the screen. Set buttonAction as type number by attaching the number block from Built-In-->Math. Likewise, set barcodeResult as type text by attaching the text block from Built-In-->Text. 7. The rest of the code blocks respond to actions. The first of these is the when scanButton.Click do action. This is simply a call to start the barcode scanner. This block is found under My Blocks-->scanButton. 8. The next action to handle is the barcode scanner result. 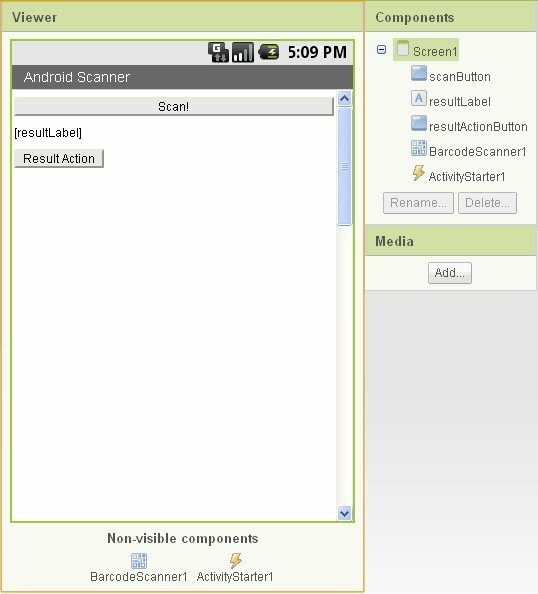 So grab the when BarcodeScanner1.AfterScan do and place it on the screen. Here, I first check to see if the result is a number. If so, I have a good idea it's a standard barcode and so I set the text of the resultActionButton to "Search Google for product" and set the variable buttonAction to 1. If the result is not a number, I then check to see if it is a URL by looking for "http://". If it is a URL, I set the text of resultActionButton to "Visit URL in browser" and set the variable buttonAction to 2. Finally, if the result is not a number or URL, I set the text of resultActionButton to a generic "Search Google for result" and set the variable buttonAction to 1. After all of the conditional statements, I set the barcodeResult variable to the result of the scan so I can use it later. 9. The final action to handle is the resultActionButton handler. So grab the when resultActionButton.Click do and place it on the screen. Here I determine if I should search Google with the result or open the browser and load a URL. I accomplish this by checking the buttonAction variable. If it's 1, search Google, otherwise, open the URL in the browser. And there ya have it. A simple, functioning barcode scanner app. Go ahead and test it out by creating your own QRCodes with the QR Code Generator from ZXing. You can scan the codes directly from your computer screen. This will cause code monkeys everywhere to lose their jobs! Dave H, App Inventor is not there yet. Step 7... is it possible to check if the Zxing scanner is installed using the ResolveActivity call? If so, could you explain or show an example? California Waterparks you need the Barcode Scanner app installed. I had the same problem - installed the app on my phone and it worked. Not sure how you would get around that on the emulator, though. I think the reason it didn't work California Waterparks is that the emulator does not have anything for it to scan. So it is pointless to try it there, you would have to download it to phone to test it out. Thank you for replying. But is there anyway I can package the Zxing app with the app that I am making , so that everything is bundled into only one .apk file..?? i got a question... i want to use my own web service using tinywebdb... the problem is i don't know how to request & retrieve data... can you show me the works...??? When I try to scan then It displays " Error 1501 Your device does not have any scanning application installed " What could be the reason ???? I was wondering whether the barcode scanner can scan all types of barcodes and not just QR barcodes? I can use the bar code scanner but it does not work properly. 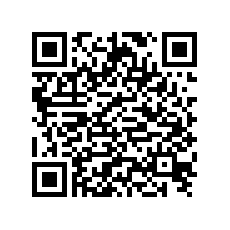 I try your application using your qrcode to dowload, but the application does work on a galaxy S3 with android 3.0.31-2429075, it cant read a Qrcode. I just want to create a barcode scanner app but i don't know where to start with.Your article just helps me a lot,thank you.But i still have some questions.I am good at mading java barcode reader but the school Java project I am currently working on requires me to have a USB Barcode Scanner as an external input to be connected to my laptop. I haven't actually bought the USB Scanner since it's quite expensive for a student. So I have to gather evidence that this Scanner would work with my program.Would the Scanner be able to read from a barcode (presumably printed off online) and store it into a variable? If so, is it true that the action event for the press of the scanner would be read exactly like a keyboard keypress? If so, what would the line of code look like? Also, if you could post your experiences with Barcode Scanners, or give any advice, such as which Scanner to buy, that would help alot. Cheers! In addition to using Zxing, i tried pqScan bar code scanner software to scan barcode QR code.